One primary goal of OWIN/Katana is to enable you to deploy the web-based project on a variety of hosts. 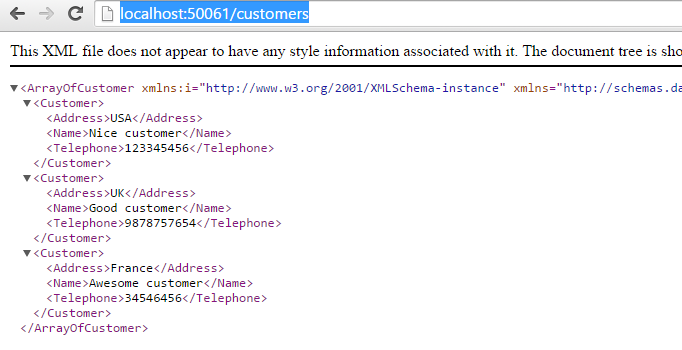 Traditional ASP.NET applications are tied to IIS through the large System.Web library. It was impossible to develop a working enterprise web application without System.Web and IIS before OWIN/Katana came along. Now it’s perfectly feasible to host your application on other platforms and we’ll see examples on how to do that in this series. Instead, we’ll start from an empty project instead and add in the necessary OWIN elements one by one. If you further check the list of referenced libraries you won’t see anything related to OWIN yet. That’s an important characteristic of OWIN/Katana that you can add only the required Katana components, called middleware to your project. You may not need everything from System.Web in which case it’s too large a dependency to carry along. 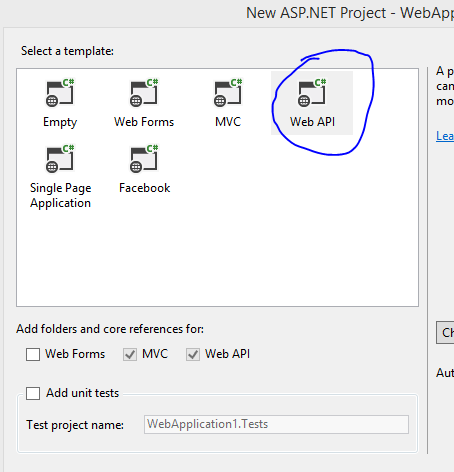 You’ll definitely need it for IIS deployment but not if your Web API project is deployed on another platform. 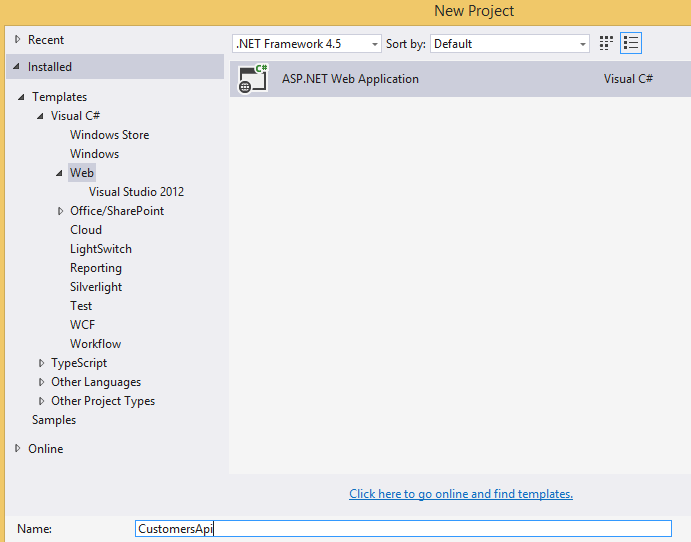 This will install a couple of other dependencies like Newtonsoft or System.Net. We now want to set up the routing so that the /customers endpoint is directed to the CustomersController and its Get action. We’ll do that through OWIN components. We’ll be adding OWIN middleware through these Katana components that can gradually add more and more steps in your application pipeline. If you’ve done any NodeJs development then these chained elements will look familiar. In NodeJs the elements are linked by way of callbacks. If you’re interested in learning NodeJs you can start with this post on this blog. The Startup class is the entry point into a Katana-based application. 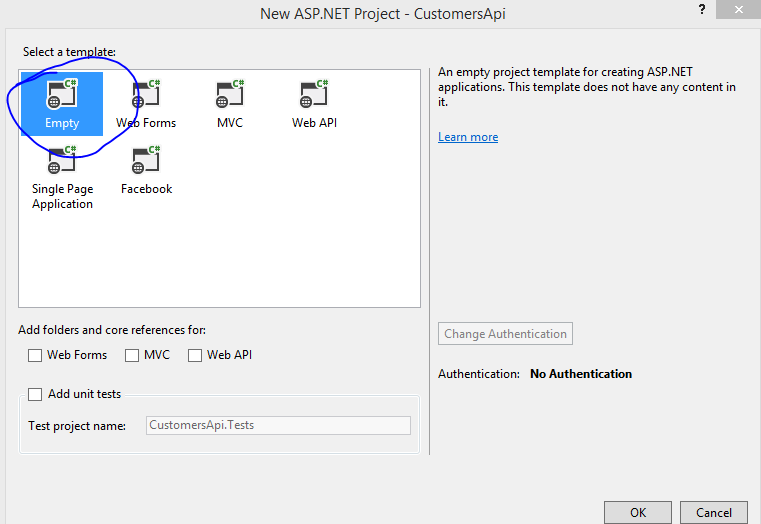 It’s like Global.asax in a traditional ASP.NET app. If you go through the posts on OWIN/Katana referenced above you’ll know that by convention this entry point class must be called “Startup” and not “StartUp” or “startup” i.e. the casing is important. Another convention is that the Startup class must contain a method called Configuration which accepts an object of type IAppBuilder. 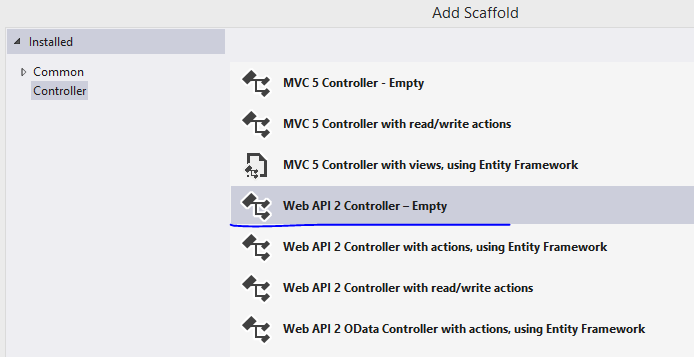 If you’ve done any MVC .NET development then this should be easy to follow. We simply route the /customers endpoint to the Customers controller and the Get action. It’s not necessary to be this explicit as we follow the MVC conventions but there you go. UseWebApi is an extension method of IAppBuilder where you can pass in the configuration object. In the next part we’ll look at OWIN hosting. Thank you dear Anderas. The post was very helpfull. Nice example, Andras. 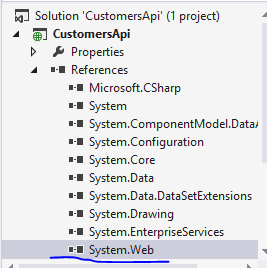 Visual Studio 2015 U3 was released last month and I tried to register my web api but found that the IApplicationBuilder (was IAppBuilder in RC2) did not contain a definition for the UseWebApi extension method. Any ideas please? Extremely helpful post, Andras. Thank you very much. But sorry, I was gone wrong direction because of your typing mistake. It should be “First of the OWIN version of System.Web:”. Silly mistake but really confusing for beginners. Sorry again to complain. Thanks Andras! I also prefer to use web services. So learning about this light weight alternative OWIN was a great help. Your walkthrough was just what I was searching for. After almost 3 years, found your post useful. 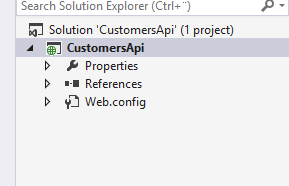 My company is still on VS2012 so had to dig deeper to get Owin+WebAPI to work.